Hyundai and Kia are settling a huge number of complaints about posting incorrect, inflated mileage ratings on some of their cars such as the Hyundai Elantra and Kia Soul. Hyundai originally offered to reimburse owners for the higher fuel costs plus a 15% “we’re sorry” bonus. Through settlement of a class-action lawsuit, owners can accept a one-time lump sum payout. That dollar figure still has to be worked out. Daimler isn’t pulling away from its ownership stake in Tesla Motors even though its share values over the new three years are harder to predict. Tesla stock prices plummeted after battery fires in its Model S. The electric carmaker is supply motors and batteries to Daimler for its Smart Fortwo electric vehicle and the new Mercedes-Benz B-Class (this goes on sale next year). Daimler holds a 4.3% stake in Tesla and wants to expand its role with the company. Speaking of Tesla, the state of California’s treasurer is giving the company a $34.7 million tax break in a bid to help the company ramp up production. Tesla won’t have to pay sales and use tax on new manufacturing equipment up to $415 million. Natural gas vehicles had a growth spurt in sales in late 2013 driven by lower fuel costs and the environmental benefits over diesel, according to a Navigant Research study. That trend is expected to continue with a compound annual growth rate of 12.6% for natural gas trucks and 6.4% for natural gas buses between 2013 and 2022. New engines and vehicles are being introduced including a 12-liter engine form Cummins Westport next year. That will be targeted at the day cab market. The 2014 Lincoln MKX will be lighter and more eco-friendly using tree-harvested natural fibers in place of traditional glass-based fibers. The tree-based, renewable alternative to fiberglass for use in auto parts comes from a collaboration between Lincoln, Weyerhaeuser, and Johnson Controls. Using cellulose reinforced polypropylene instead of fiberglass materials makes those materials about 6% lighter and decreases reliance on less-environmentally friendly fiberglass parts. Saab is a year out of bankruptcy and is depending on an electric version of its Saab 9-3. Saab’s new owner, National Electric Vehicle Sweden, is targeting its home market of China, where the government is promoting clean automotive technology with up $16 billion in vehicle subsidies, R&D, and infrastructure spending. 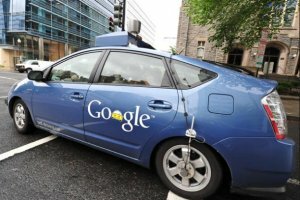 Michigan Governor Rick Snyder signed legislation allowing driverless cars to be tested on the state’s roadways. Michigan just joined Nevada, California, and Florida as the only states allowing such on-road testing. Ever hear of Zenn Motor Co.? The Canada-based neighborhood EV company now has an agreement to buy a majority stake in energy-storage company and distribution partner EEStor. This is reminiscent of Coda Automotive leaving the EV business and moving into the rapidly expanding power storage market. The list could go on and on about Tesla Motors during 2013 – state battles with auto dealership associations; battery fires and the NHTSA recall; stock price roller coaster; CEO Elon Musk’s Hyperloop concept; and Supercharger fast charging stations come to mind. It’s rare to go more than a week without reading a Tesla article in the industry’s bible, Automotive News – along with several other major news sources. Automotive News is centered around its auto dealer readership, who generally would like to see Tesla go away. The news has got to be big and attention worthy to get as much ink/gigabyte as it has in Automotive News in the past year. That’s where my “Tesla-Mania” headline buzzword came from. There’s been a bit of media frenzy. Another fascinating element while following Tesla is that the company does not utilize the traditional media strategy – a large media/PR department or outsourcing it to one of the majors. They do it themselves and keep it low budget – but are using everything that needs to be done these days – Twitter postings and emails from Musk; strong press releases; attractive showrooms, and well-promoted events like ride and drives or Supercharger rollouts. 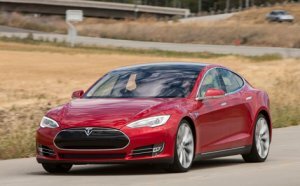 Making a very impressive car like the Model S (have you ever driven it?) really helps with the storytelling, as well. Ever hear of dimethyl ether (DME), a non-toxic, clean-burning alternative fuel? It comes from a variety of domestic, sustainable sources such as biogas from food and animal waste, wastewater treatment facilities, and landfills. Back in June, Volvo Trucks introduced this option with fuel supplier Oberon Fuels in Sacramento, Calif., for rollout in 2015. Mack Trucks announced soon after that it’s following corporate parent Volvo and will be rolling out big trucks with a 13-liter MP8 engine that can be powered by DME in that same year. DME has been on the market for years as an aerosol propellant in cosmetics and other household products. Its potential is huge – it has the performance qualities and energy efficiency of diesel but can lower CO2 emissions by 95% compared to diesel. It produces no soot, and the fuel is stored in lighter, simpler fuel tanks and lower psi systems than what’s needed for LNG and CNG systems. Volvo Trucks is still committed to CNG and LNG offerings as well – its lineup already includes CNG-powered Volvo VNM and VNL model daycabs. The company is also producing its own proprietary LNG engine in VNL daycabs and sleepers next year. Natural gas had a very good year in the US – fueling more electricity power stations than before, moving coal farther down the supply chain. There’s been modest growth in CNG and LNG vehicle sales – some of it through vehicle conversions and more OEM offerings like the Ford F-150 CNG option introduced this year. Fueling stations have seen a good deal of growth this year as Clean Energy and a few other infrastructure builders announce more openings, and fleets add in more onsite refueling stations. The vehicle conversion cost is a factor, but the payoff is happening within two-to-three years; fleets acquiring NGVs make an effective business case with upper management that fuel cost savings, emissions reductions, and supporting a domestic industry is a win-win-win. When the Renewable Fuel Standard was adopted in Washington in 2005 (and expanded in 2007), it made a whole lot of sense. The Bush administration was concerned about our reliance on foreign oil as we waged war in the Middle East, and legislators on both sides of the aisles could agree. Corn-based ethanol was the mainstay and was supported as a clean, domestic fuel that could pave the way toward advanced biofuels like cellulosic and algae. The “Detroit 3” automakers began rolling out flex-fuel vehicles capable of running on E85. That movement faded in the midst of the “food versus fuel” debate which started up in 2008, and was followed by attacks on the prospect of E15 becoming standard at US gas stations. Some of that fight came from “big oil” companies and some from automakers concerned about the long-term reliability of engines that might not handle E15 very well. The EPA’s decision to scale back its ethanol blending mandate in late 2013 was harsh for the biofuel community to hear. 6. Ford and Hyundai-Kia MPG claims: Hyundai and Kia have taken a different approach than Ford on its hybrids, as was covered in the Big Picture article this week. 7. Plug-in EV sales: Take a look at the impressive chart showcased by Electric Drive Transportation Association. It was a big year for battery electric and plug-in hybrid sales. 8. Fisker and other auto greentech failures – Fisker, Envia, A123, Coda, and ECOtality –these plug-in EV, battery, and charging station makers looked so promising a few years ago, but 2013 was a year of bankruptcies and bad news. 9. Propane autogas moves forward – The fueling station unveilings and vehicle offerings have been very good in 2013. School buses converting over to propane were a part of that trend. The fourth fire involving a Tesla Model S that happened during the fall – on November 15 in Irvine, Calif. – wasn’t another battery fire. “Our inspection of the car and the battery made clear that neither were the source” of the fire, Tesla said in a statement that cited the report by the Orange County Fire Authority. The OFCA is done with its investigation and is leaving it up to Tesla and insurance companies to figure out what caused it. Outgoing GM CEO Dan Akerson had some critical things to say at a media conference last week about what Tesla’s going through with its battery fires; he compared it to be battery fire in the test lab incident with the Volt that happened in late 2011 and basically boasted about all the proactive responses that GM carried out instead of standing off to the sidelines. Ohio dealers have sued to block Tesla from selling cars in the state. Tesla had been looking good recently when a proposed amendment to an unrelated bill was dropped. Dealers were hoping to block Tesla from selling in the state. The new lawsuits wants the state to revoke Tesla’s license to sell cars, stating that the automaker hasn’t met all its necessary legal requirements. Here’s more of the latest news in clean transportation…. The Toyota Prius Liftback topped Consumer Reports’ annual value list for the second straight year. The attractive base price ($24,025), mileage (44 mpg but can be higher depending on how you drive), and resale value gave it the thumbs up. The Honda Fit subcompact, starting at $15,425, scored in second place for the compact/subcompact class. 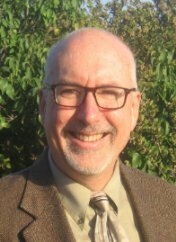 The CALSTART clean transportation consortium has announced changes to its board of directors. Paul Rivera of consulting firm Ricardo has been appointed to the board of directors. Rivera serves as global director of hybrid and electrical systems for Ricardo. Ricardo recently expanded its business practice in California and is well-positioned to help grow the industry, fulfilling CALSTART’s mission. Puon Penn, senior VP and head of the National Clean Tech & Emerging Tech Markets at Wells Fargo, has become vice chair of CALSTART’s board. Penn is stepping in for the former vice chair, Jane Warner of American Lung Association in California, who passed away in September. Mike Britt, Director of Maintenance and Engineering for UPS, is now secretary of the board. Hydrogen stocks have been up quite a lot this year – an average of 131% for the market. Hydrogen fuel cell and hydrogen system company stocks have performed well. Plug Power, which makes hydrogen fuel cell systems for off-road vehicles is up 122% this year. Ballard Power Systems, a maker of hydrogen fuel cell systems for a number of industries, is up 133% this year. Quantum Fuel Systems Technologies Worldwide, a maker of fuel systems and drivetrain components for NGVs, EVs, and hydrogen FCVs, has gone up 146% and 261% from its low in April. Small investors have been the main buyers of hydrogen stock. Institutional owners have keep their stake fairly small. Navigant Research forecasts that Japan and the US will be the largest markets for hybrids, with sales reaching just over one million and 1.1 million in 2022, respectively. The US will remain the largest market for plug-in electric vehicles with more than 467,000 sales in 2022. A significant majority of the EV sales will be plug-in hybrid electric vehicles. For the Green Car Technology Award, there’s a three-motor, all-wheel-drive hybrid –the Acura Sport Hybrid and the turbocharged direct-injection engine in the Audi 3-liter TDI diesel engine. The BMW i3 electric car is acknowledged for its carbon-fiber body. 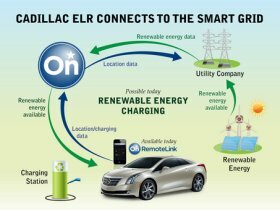 The Cadillac ELR extended range/plug-in hybrid will start being delivered to dealers next month. Its regenerative braking and declaration charging system have been acknowledged in the award nomination. The tiny 1-liter EcoBoost turbocharged engine for the 2014 Ford Fiesta is on the list. The Honda Accord’s plug-in charging system is getting attention with its 115 MPGe. The new Hyundai Tucson’s fuel cell system is on the list. The Ram pickup’s new diesel engine, Porsche’s plug-in hybrid system, and Mazda’s i-ELOOP Brake Energy Regeneration System are also in the competition. WardsAuto did recognize one electrified drive – that of the Fiat 500e. Those testing the cars were impressed with its 147 lb-ft of torque with its power boost, and how it outperformed the official 85 mile range given by the EPA. Clean diesels were honored – the Chevrolet Cruze Diesel’s 2.0L inline four, the Ram 1500 EcoDiesel’s new 3.0L V6 engine, and BMW’s 3.0L inline six cylinder placed in the BMW 535d and X5 SUV made the list. Another interesting engine to make the list is Ford’s 1.0L EcoBoost three-cylinder found in the Fiesta – and which also made the Green Car Journal nomination list. The idea behind it was to deliver the power of a 1.6L engine from the efficient 1.0L engine. There’s been a huge shift in energy policy that will impact oil and gas in North America – the Mexican government just passed a sweeping energy reform bill that will very likely allow foreign investors into the market. New legislation ends state-sponsored energy companies’ 75-year monopoly, allowing private oil firms, including major US conglomerates, to enter into “production-sharing” agreements with Mexico. International producers will have access to production-sharing contracts or licenses where they would get to own the oil they pump out of Mexico’s reserves. The North American Free Trade Agreement, which went into effect in 1994, has facilitated major economic developments like automakers opening up production plants in Mexico and trucking companies moving cargo across the borders. Mexico’s energy reform bill could be in the same league. There are huge unexplored crude oil reserves in Mexico, and it’s no longer entirely controlled by Pemex, that state-owned oil producer. 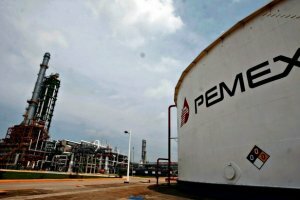 Pemex has been known for being full of corruption and failing to tap into the vast supply which it says sits at about 13.87 billion barrels of proven oil reserves. There’s probably a lot more, as this is just the proven supply. Hydraulic fracturing, or fracking, will likely be used to tap into a huge supply of oil and natural gas, and can transform Mexico as well, according to Energy & Capital’s Christian DeHaemer. Fracking is playing a large part of oil and natural gas being plentifully accessed in the US and is likely to play a big part in Mexico’s energy market. That means natural gas prices are likely to stay down for an even longer period of time than was initially expected for North America – and could support growth in natural gas vehicles and infrastructure. Implementation of the policy and its regulatory decisions will take a while to be finalized in Mexico. There is a political fight going on and the leftist party, PRD, may be call for a popular referendum. The public is less supportive of opening up Pemex, so the process could be dragged out and Mexico’s oil reserves could fail to open up to foreign investment. Energy analysts will be carefully watching Mexico to see where all of it ends up. If the oil and gas reserves open up to foreign investors, it’s expected that petroleum prices will soften along with natural gas. Crude oil will likely drop in price and that would likely mean that gasoline and diesel prices in the US could continue to stay close to where they are now. The national average has hovered at a little under $3.25 per gallon and diesel a bit under $3.85 per gallon. Skyrocketing fuel prices during 2008 helped push support for electric vehicles and other alternative fuel vehicles – so the potential for oil prices softening will likely deflate some of that argument. Changing of the guard is starting to happen in Motor City. 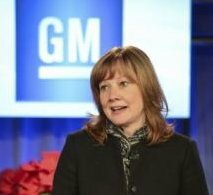 Right after General Motors paid off the federal government for its post-bankruptcy bailout loan, CEO Dan Akerson announced he’s leaving his job and that GM is getting its first female CEO, Mary Barra. She’s previously served as senior vice president of global product development and has championed GM’s leadership role in electrified and fuel efficient vehicles. Ford Motor Co. is also flooded with gossip about its shining star CEO Allan Mulally leaving and going back to Washington to captain the Microsoft ship. As for Barra, ex-Chevy Volt guru and former GM vice chairman Bob Lutz had his usual bit of banter to share. On a Detroit radio talk show last week, Lutz praised Barra for leading GM’s product development and had something very Lutz-like to say: “I don’t know if you know what she looks like, but she is medium height with an attractive, athletic build, nice face — she’s not a little old lady with glasses; she is very athletic looking, very active and it’s easy to imagine her behind the wheel of a car.” So, she may not be a car guy, but she’s alright with Bob Lutz. Fisker Automotive Holdings Inc. is continuing at a fast pace through bankruptcy proceedings. Its lawyers convinced US Bankruptcy Judge Kevin Gross in Wilmington that the process should roll forward. The hearing started last week as the judge gave creditors more time to sell their assets and not just sell it all off to Hong Kong tycoon Richard Li. Attorneys on both sides disagreed and asked that a hearing be scheduled for January 3, which Gross did approve. At that time, the judge will decide if the reorganization plan should be allowed to go forward, along with the structure for selling the company’s assets. Ever hear much about methanol as being an advanced alternative fuel of the future with plenty of benefits? Nobel laureate Dr. George Olah and Surya Prakash, director of the Loker Hydrocarbon Research Institute at USC, are singing the praises of methanol. They’ve won a million dollar prize from the Israeli government to conduct research. They say that methanol can be produced by combining hydrogen and carbon dioxide and it can be used to power vehicles. One of the outputs can be the diesel substitute dimethyl ether, which Volvo Trucks has been testing out. Check out this flyer from Sacramento Clean Cities promoting Propel Fuel’s 10th fuel station in that region. And you get free fuel — $10 worth of ethanol and biodiesel from December 18 to 20. Sapphire Energy and Phillips 66 have an agreement to produce algae crude oil to commercial scale production and turn it into fuel. Their goal is to complete fuel certifications to move forward Sapphire Energy’s renewable crude oil, called Green Crude, for wide-scale oil refining. Perhaps algae biofuel will actually make it to the market – there’s been quite a few enthusiastic fans out there waiting for it to reach commercial scale. Ford is joining the race for driverless cars to make it to dealer lots. “Our goal is to test the limits of full automation and determine the appropriate levels for near- and mid-term deployment,” said Raj Nair, a vice president at Ford, about the automaker’s Fusion Hybrid research vehicle. While Ford says that most of the automation it’s testing won’t be deployed until after 2025, it intends to phase in pieces of it little-by-little before then. Okay, how many of you remember that scene from the movie? 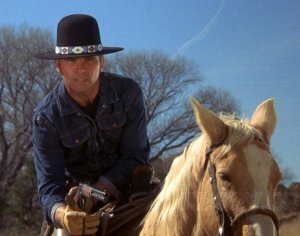 And have watched “Billy Jack” more than one time? 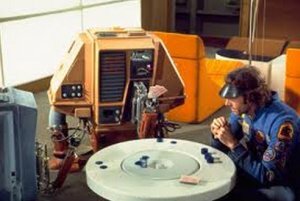 Come on, fess up…..
Freeman Lowell in “Silent Running”: Bruce Dern played Lowell in the 1972 sci-fi thriller set in the future. He’s a botanist and ecologist who’s completely dedicated to saving the very last of the plant life from planet earth that’s stored on a fleet of space freighters – hoping it can return to earth for reforestation of the planet. He loses what’s left of his sanity when he sees other cargo freighters get blown up by crewmates while following orders from commanding officers. He kills one of his crewmates who shows up to plant a bomb and destroy the last remaining greenhouse dome that Lowell is desperate to save. One of the memorable scenes from the movie shows Dern wearing a card-dealer visor and distributing cards to play poker with his two drone buddies, who he names Huey and Dewey. 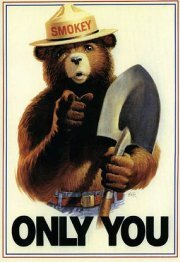 Smokey Bear: Everybody’s seen the Smokey Bear ads, which started in 1944 and have continued to this day. It lays out a tall order – “Only you can prevent forest fires.” That message started up in 2001 after a series of wildfires around the country. The ranger bear character is owned by the federal government and the Ad Council. While John Muir and Teddy Roosevelt have been honored for establishing our national parks and stopping the US from being turned into a giant suburban neighborhood and shopping mall/parking lot, Smokey Bear has had a lot more influence lately. 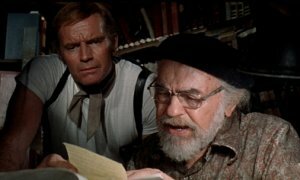 Sol Roth in “Soylent Green”: For those who’ve seen the 1973 film “Soylent Green” starring Charlton Heston, you probably remember the scenes where he talks about the past with his old roommate, Solomon “Sol” Roth. Played by classic 1930s gangster movie star Edward G. Robinson, Roth sermonizes about the past when there used to be blue sky and beautiful beaches and forests. 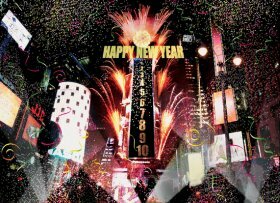 Set in 2022 (nine years from now – yipes! 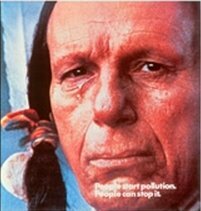 ), they live in a big city, probably New York, and the planet is overpopulated and dying off; the air is so thick with smog that people wear surgical masks as they stand in line waiting for their government-rationed food. Soylent Corporation controls all of it and manufactures the food products. It’s in such short supply that crowds riot over it. Heston, playing corrupt-but-justice-seeking cop Thorn, finds out through Roth that Soylent Green is made out of people. 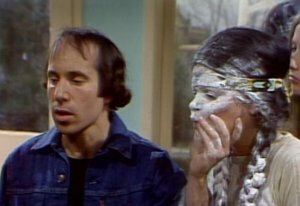 The most memorable part of the film is where Roth has given up on living and has gone to a center for euthanasia. Roth finds him there and watches the last moments of Roth’s life as film footage is shown streaming giant images of the earth’s long-lost beauty. CNG is used in light and medium duty cars and trucks, while LNG is used mainly in heavy duty trucks. LNG only needs 30% of the space that CNG uses for on-board vehicle storage for the same amount of energy. LNG requires on-board storage in thermal tanks capable of keeping the fuel at -260 degrees Fahrenheit. LNG vehicle conversions and their fueling stations are much more expensive than CNG. CNG needs to be stored on-board in a cylinder tank at 3,000 to 3,600 pounds per square inch. 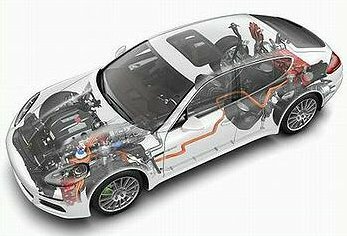 Vehicle powertrains: Very similar to gasoline and diesel powered engines as they basically do the same thing with ignition of the fuel to power the engine. Conversions need to be made for the fuel storage tank, fueling receptacle/nozzle, and in the engine. Hydraulic fracturing (“fracking”): The question of whether shooting water into gas fields to extract natural gas is environmentally safe is being fought out in several state capitals, but it’s never really been affiliated with natural gas vehicles. The criticism has to do with how the natural gas is removed from the ground and harmful consequences it could cause – tainting aquifers, causing earthquakes, and using way too much water. UC Berkeley physics professor Richard Muller contends in a paper that environmentalists should embrace hydraulic fracturing as a means to mitigate climate change and ease air pollution. 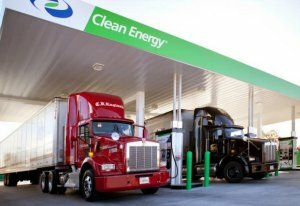 Vehicle acquisitions: Clean Energy Fuels Corp. just reported that customers using its fueling stations ordered 70% more NGVs in the first nine months of 2013 compared to the same period in 2012. The company said Cummins Westport thinks it will make 2,400 natural gas engines this year and 10,000 next year. On the retail side, there’s the Honda Civic NGV and CNG-powered pickups from Chrysler, Ford, and GM – some of them bi-fuel and some pure natural gas. Honda is reporting its sales numbers – 2,080 units for this year had been sold through the end of November. One of the strongest appeals for NGVs, especially among fleets, is that even though the acquisition cost is higher for an NGV compared to a similar non-NGV, the fuel expense is about one third that of petroleum. While the acquisition cost is higher for the natural gas vehicle, the fuel savings delivers lifecycle operating cost savings usually within two-to-three years. Emissions: NGVs are cleaner than vehicles powered by gasoline or diesel, though the figures vary. It tends to be considered to have about 25% less in greenhouse gas and carbon emissions than petroleum; and an even higher percentage in reductions of smog-creating tailpipe emissions that include hydrocarbons, nitrogen oxides, carbon monoxide, and particulate matter. Thanks to NGV America, US Dept. of Energy, Transport Topics, HybridCars.com, and Clean Cities for data and information.